You can play a part in C-Life's journey of developing professionals in Cameroon to be servant leaders with integrity and excellence for the glory of God. C-Life is located in the city of Buea (Bo-yah), Cameroon. 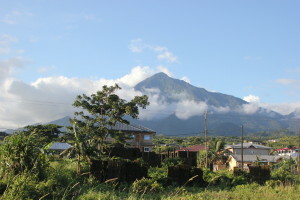 Buea is found on the Eastern slopes of the Cameroon Mountain, nestled close to the Atlantic Ocean, South West of the country. Its cool weather, tea farms, close-by beaches and majestic mountain range makes this university town a place to visit. Our first batch of 22 young professionals has graduated from the program. They have been commissioned to serve others well and to engage in creating a job for themselves by opening their own business.